I noticed that poundland are selling 1200mah powerbanks. I got one to test out. It takes Approx 3hrs for a full charge, there is a light in the unit it flashes red when charging and stays red when fully charged. When charging your device the light is blue then goes off after 15sec after being unplugged from device. I tested charging my phone which is a cubot rainbow 5″ android phone, used it twice and got 55% charge within an hour and then 53% in just under an hour before the unit battery ran out. So for the average phone could easily get a full charge out of it. Used to charge my hudl 2 tablet which does require a 2amp charger, but only got 14% within an hour then the battery ran out in the unit. So for high powered devices not that great. 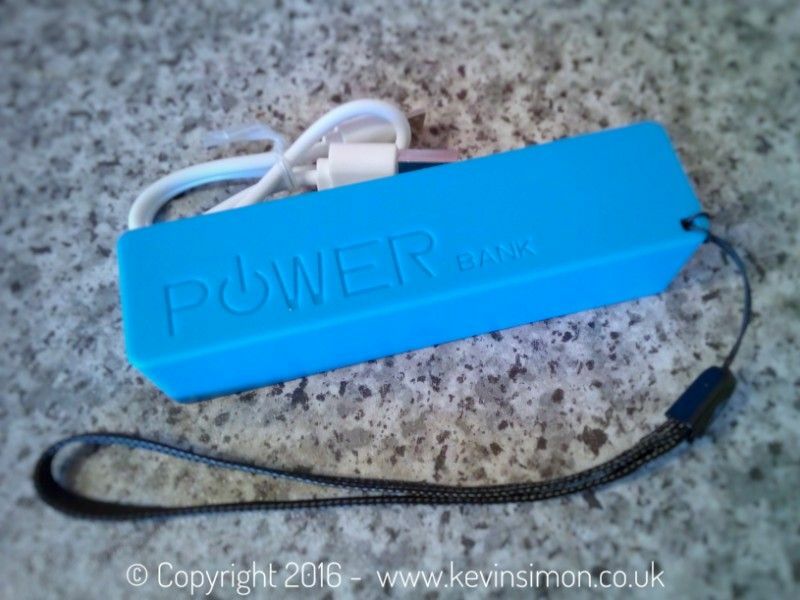 Final thoughts, for just £1 you can’t complain at the price even though 1200mah is low power really but a useful little device to have on your bag just in case your phone runs out of juice, Now yes there are better powerbanks available but for more money, but these are great value for just a quid. Thanks mate now I can trust getting one! I bought a power bank and can’t see whether it’s charging or not there isn’t a light on it to let me know when it is fully charged. Any advice? Do you know if it charges an iPhone 6? Mine is not charging or charging my phone it might have overheated how do I fix it. I am currently charging an iPhone 6s so yes it can charge an iPhone 6. I have some good capacity 18650 cells I harvested from an old laptop battery and will replace the battery with one of those for almost 2.5 times the capacity. I too have some leftover 18650 cells I’d like to reuse and I’m not sure how to disassemble the thing? Hi, did you manage to do that?